So I’d imagine you’re all well and truly stuffed at this stage. I hope you had a lovely Christmas Day and are now ready to veg out and watch repeats of Ab Fab. Still, the food baby and the general lack of energy are not an excuse to look bad. 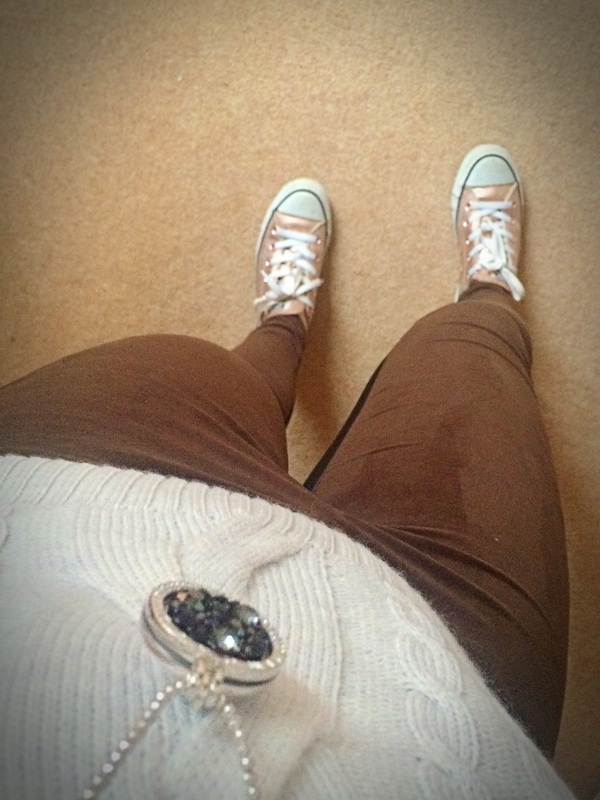 I’ve got the easiest outfit for you, cosy knits and comfy converse! The good news is they’re all in the sale! I love this Karen Millen knit. It’s 100% wool so it’s extra cosy but what I like most is that it doesn’t itch the skin. It’s oversized for an extra element of casual cool. 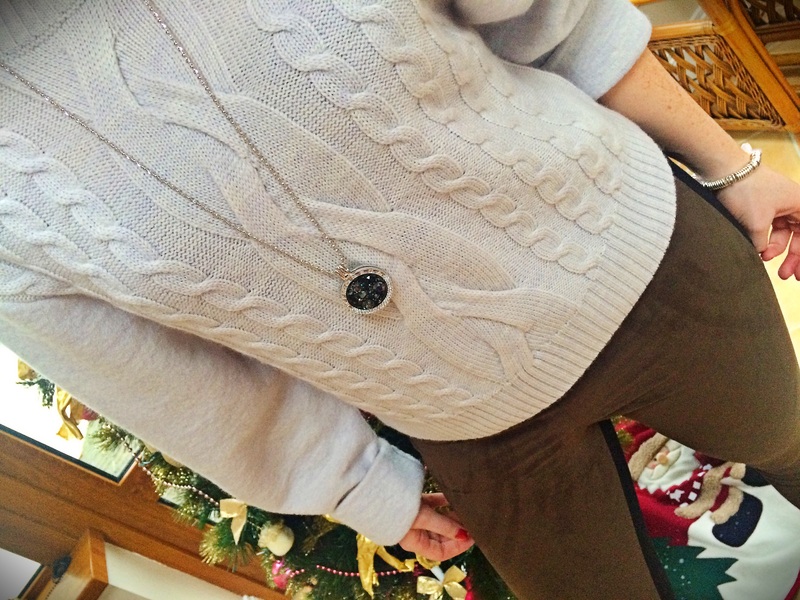 The necklace is Mi Moneda and was a Christmas gift from my sister Rebecca. I love the sparkle, especially around this time of year. 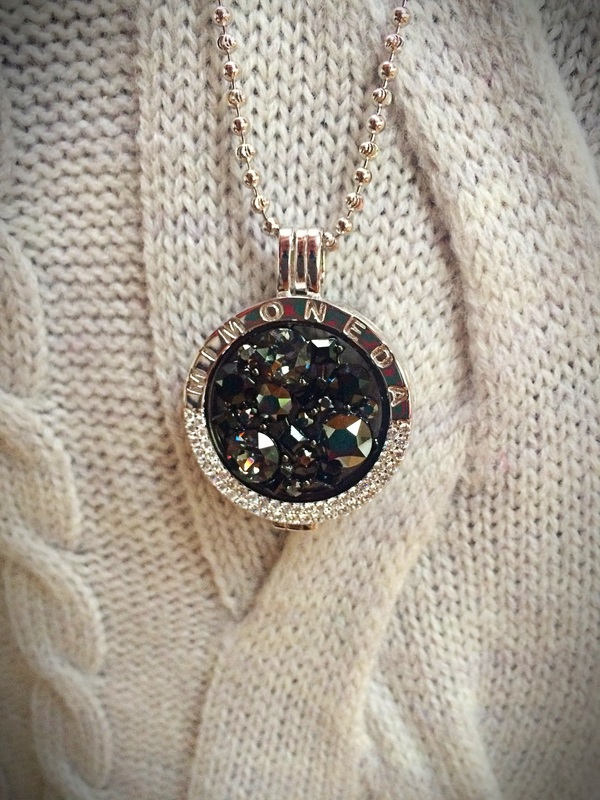 Mi Moneda chains come in a wide selection of sizes and colours and the coin is changeable. They are available from selected jewellers. These Karen Millen leggings are super comfy. The khaki panel on the front is suede and adds a bit of elegance to the outfit. And how much do you love these converse? Everyone needs a pair of converse for those lazy days and the metallic pink makes these that little bit special. The bracelet was a gift from my sister Joanne. It’s the Sweetie bracelet from Links and matches the ring.